A year after the Olympics, Rio’s Port Zone reels from the ongoing Marvelous Port urban renewal project that began in preparation for the Games. The project, officially costing R$8 billion (US$2.53 billion), tore up streets to make way for light rail tracks, plopped two museums in Praça Mauá which together cost nearly R$300 million (US$94.8 million), and accelerated unregulated real estate speculation and gentrification in the area. As part of these massive interventions to give the port a “new look,” construction digs unearthed a historical site of international importance, Cais do Valongo, Rio’s slave wharf last month named a world heritage site by UNESCO as “the most important physical trace of the arrival of African slaves on the American continent.” Construction has also brushed up against the New Blacks Cemetery, another significant historical site, where enslaved Africans arriving in Rio were buried in a dehumanizing mass grave when they died prior to sale. It is in this context that Rio’s new Mayor Marcelo Crivella has announced his intention to construct a “Museum of Slavery and Freedom” adjacent to the Cais do Valongo site, while the New Blacks Institute (IPN) itself is under threat of closure after being denied funding from his government to maintain its annual operating budget. 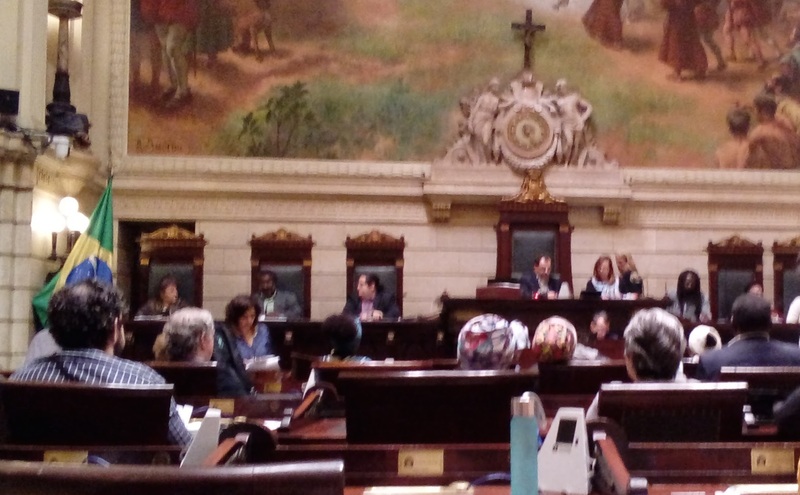 The historical and contemporary importance of the Port Zone to Rio de Janeiro, to Brazil, and to the world was universally expressed in an important City Council hearing last Friday. Participants brought into question the various national and cultural narratives built on this history, warning against two extremes: that of embracing an exaggerated “folklore” of Brazil, and that of seeking to erase the painful, brutal history of slavery. City initiatives in the Port Zone often waver between these two extremes. 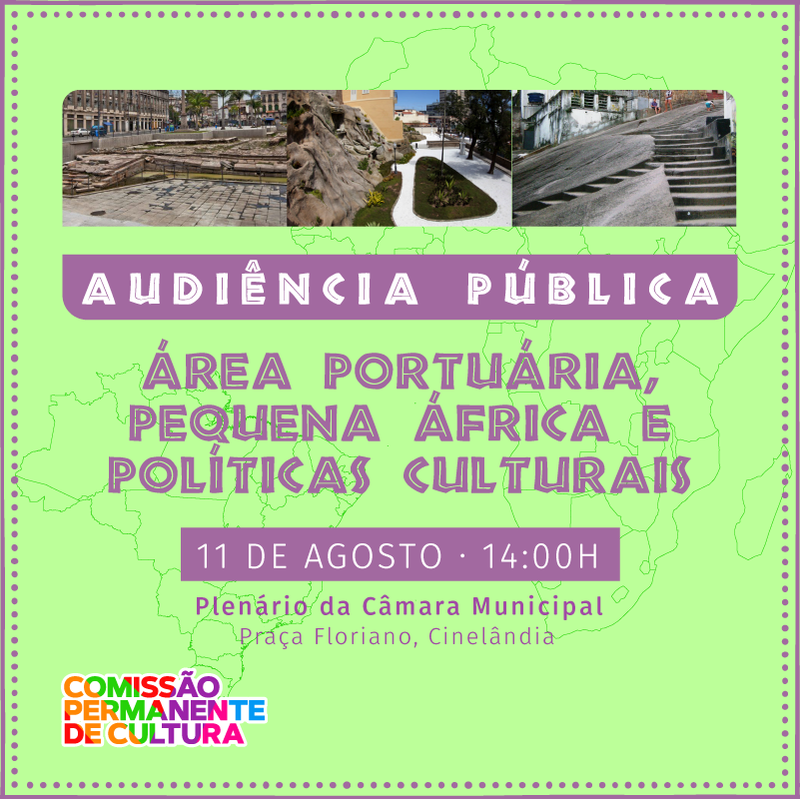 The City Council Public Hearing on the Port Zone, Little Africa and Cultural Policies, was hosted by Nilcemar Nogueira, the Municipal Secretary of Culture. It brought together various community leaders and stakeholders to discuss the City’s proposal of a “Museum of Slavery and Freedom,” a provisional name, at Cais do Valongo. Numerous panelists and speakers argued that the museum should not be built at all. And while the meeting was arranged to discuss only the museum, the conversation proved that the proposed museum cannot be separated from issues facing the Port Zone such as the Marvelous Port project, and cultural issues like racism and police violence. The public audience began with statements from each of the panelists, who included City Councilor Reimont Otoni as moderator; Marcelo Dias of the Unified Black Movement; Damião Braga, President of the Pedra do Sal Quilombo; Doctor Maria Moura, an Ekedi figure in the Afro-Brazilian religious tradition of Candomblé; Silvia Mendonça, religious leader of Ilè Ogum Megegê Asè Baru Lepê/De Waldomiro de Sangò in Parque Fluminense, Duque de Caxias; Ana Maria de la Merced Guimarães, Director of the New Blacks Institute; and Rilden Ramos Mendes de Albuquerque, Evaluator of Economic and Social Development in the Port Zone. Otoni began by introducing the scale of the topic—UNESCO site Cais do Valongo was the largest port of entry of enslaved Africans in history. Otoni implied that any change to the area must never lose sight of the massive scale of this tragedy. Speakers began with statements about the Port Zone as a whole, asserting that it is a flashpoint of resistance for the Black Movement against public and private efforts to sell the land to big business. Braga noted that Pedra do Sal was only recently given the title of Area of Special Cultural Interest, showing that the state has historically done little to protect and support cultural institutions in the Port Zone. “It is an obligation, it is the duty of the state, to take care of this patrimony,” argued Braga. He continued that debating “Name A” or “Name B” for the proposed museum was a waste of time when the residents themselves were not being taken care of. Many of these neglected Port residents are descendants of the enslaved Africans the new museum proposes to honor. Mendonça brought in her work with religion, noting that there is “exclusion, even today” of religions of African roots in Brazil. She described her past with the black feminist movement, noting the important role of women in the discussion–“we, women of Candomblé, have an important role in…the preservation of our history.” Guimarães told of her struggles trying to keep IPN open, insisting “it is the duty of the state, and not the duty of a family” to keep such spaces open. She lamented that “a country without education, without culture, is a sick country.” Similarly, Moura spoke of how many histories are passed down through oral tradition, and that pieces of history are becoming lost–“there are people who don’t know that Pedra do Sal is an urban quilombo.” She lamented that although much of Brazilian culture comes from African roots, these roots are rarely respected or preserved. Dias directly addressed the Marvelous Port urban renewal project, citing the exorbitant monthly budget of the Rio Museum of Art (MAR) in comparison to the IPN’s R$85,000, and that due to abandonment by the City, IPN must now resort to fundraising to buy basics like cleaning supplies. 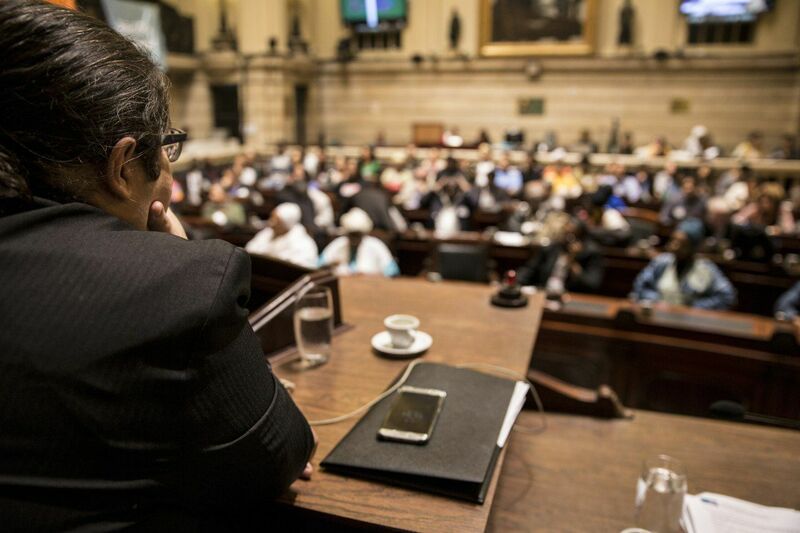 Secretary of Culture, Nilcemar Noguiera, introduced herself as a “militant,” emphasizing that she was not tied to any political party and felt free to speak her mind. She gave a brief description of her vision for the museum–that it would relate to the “new museology” movement in Rio, that it would be “experiential,” and that it would be a place to share voices and perspectives never before heard. The event then opened up to speakers who had signed up to share their opinions. Professor Carlos Vainer, urban planning professor in the Research Institute in City and Regional Planning (IPPUR) at the Federal University of Rio de Janeiro (UFRJ), described a museum that could be a center of culture, research, and contemporary art. He imagines “a global and national center rooted in Rio’s Little Africa.” He argued that it would bring wealth to the surrounding neighborhoods through employment, and that the administrative structure should include representation of the surrounding communities. Helena Galiza, whose background is in urban planning, expressed her frustration at the inequities of the Marvelous Port project. Culture and city planning must be integrated, and exclusion must be denounced, she argued. “If there isn’t a special care” in the Port Zone with the implementation of new projects like a Museum of Slavery and Freedom, there will be gentrification, tourism, and displacement of original residents. She suggested there should be a “preferential system” for descendants of existing residents in new buildings being constructed in the region. 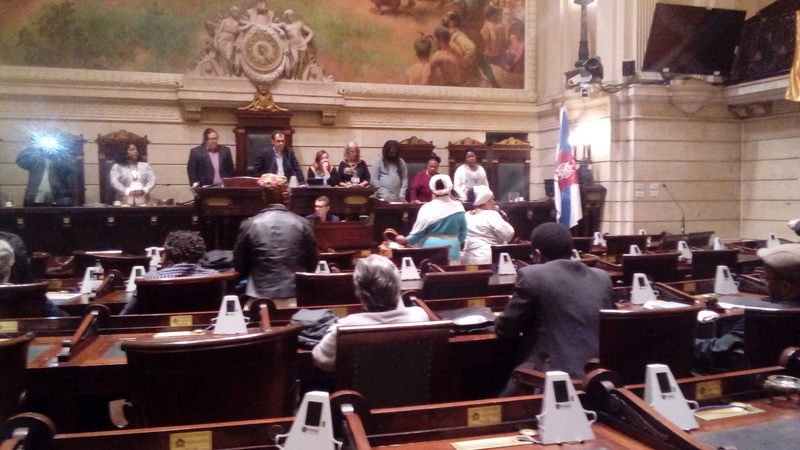 Mariluce Luzia of the Quilombo Pedra do Sal drew attention to the existing, inadequate condition of the quilombo. She asked, “Do people think that residents of Pedra do Sal want urban disorder or buildings in disrepair?” She held up a picture of a traditional Pedra do Sal façade to argue that the Secretary of Culture should focus on existing sites, honoring the “dignity of housing” of residents, a human right. The panel made its closing comments, with Mendonça explaining that if there must be a Museum of Slavery and Freedom, it must be a “space of reparations, mainly” and public policy and other direct actions in the community. 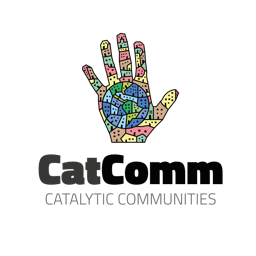 Braga wondered if there could be a commission created to support the propagators of culture who already reside in and are rooted in the community. Dias concluded, “the debate we are having here is the debate of historical reparations for the black people. And historical reparations for black people also means the occupation of our spaces,” noting that one of these spaces “for the black people, in this city, is the building called Galpão Pedro II built by the black engineer André Rebouças.” And for this space, the needs are not for “simply a museum, but we want a library there… we want a film library.” As a final statement, Mãe Dezuita led the panel and audience in traditional songs. This article was written by Raine Robichaud, and published on August 16, 2017.